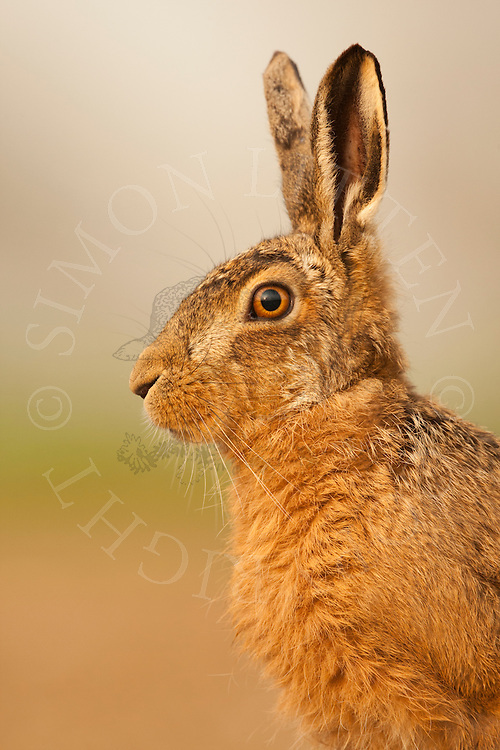 European Hare (Lepus europaeus) adult alert, head detail, Norfolk, UK. © Simon Litten - Strictly no unauthorised use. To purchase this image for rights managed usage please use the CONTACT section above stating your request.